Recovery Point IBM i DRaaS is a Disaster Recovery as a Service (DRaaS) offering that uses IBM’s Global Mirror replication technology to provide data protection and disaster recovery for your IBM i environment between two sites, over extended distances. The service includes continuous data protection (CDP), cloud storage and on-demand IBM Power Systems recovery infrastructure to deliver near zero Recovery Point performance. This is a highly scalable, asynchronous storage replication solution that provides data integrity and data consistency without performance impact on the applications at the primary site. 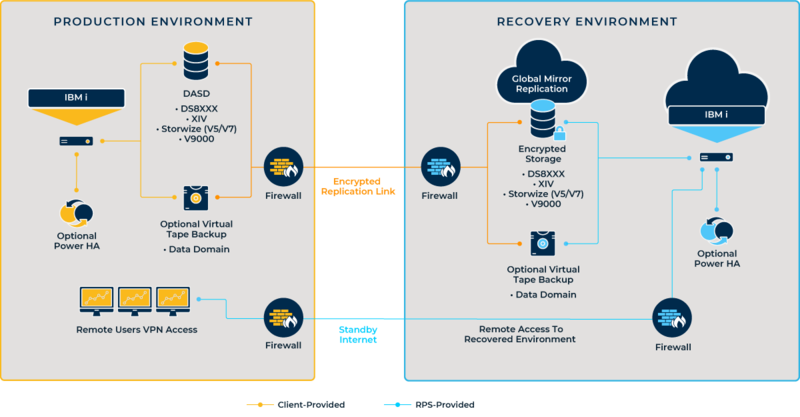 Recovery Point IBM i DRaaS with Global Mirror can be enhanced with IBM’s PowerHA SystemMirror to enable a fully automated failover and failback for your IBM i workloads. What is DRaaS for IBM i?